Last month we started talking about the closeness of Stella Mare RV Resort to the Galveston beaches. We were working our way across the island starting at the west end and going east. We previously discussed Galveston island State Park and the West End Pocket Parks. Moving eastward we’ll next encounter the Seawall Urban Park. The Seawall Urban Park is the center of much of the beach activity on Galveston Island. The beaches along the seawall give you great access to many of the amazing beachfront restaurants and tourist attractions on the Island. 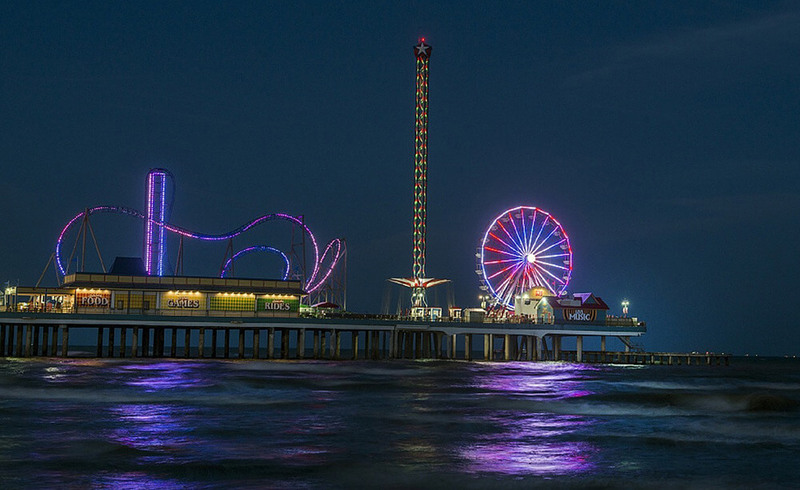 One in particular to note is the Galveston Island Historic Pleasure Pier. Moving further east you’ll visit Stewart Beach, one of the “Ten Best Beaches for Families.” This is a great place to take kids. They offer a pavilion, concessions, restrooms, showers, chair and umbrella rentals, a children’s playground, and lifeguards. Admission runs $12 Monday through Thursday and $15 for Friday through Sunday. At the tip of the island you’ll find East Beach, also known as the party beach. It’s here that you’ll find some amazing festivals and live concerts. In addition to restrooms, showers, and concessions, they also have a pavilion, boardwalk, and entertainment stage. Also, it is set apart from the rest of the beaches because alcohol is permitted here. If you’re here in the summer, you can catch the annual American institute of Architects Sandcastle Competition. The Stella Mare RV Resort, near Galveston beaches and the quality leader in the Galveston area, is a great way to start your Gulf Coast vacation. You can find out more about our great amenities by clicking here. Save your spot with us today at stellamarervresort.com.